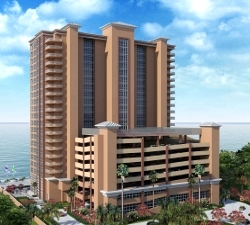 Beautiful gulf-front development opening in the fall - Phoenix Orange Beach has large private balconies with direct access from the master bedrooms. Features include 18-inch tile flooring throughout, granite counter-tops throughout, 10-foot ceilings, floor-to-ceiling glass, tall cabinets to fur down, stainless steel kitchen appliances, wet bar, and numerous other upgrades. Owner climate controlled storage areas located in the hallway across from each residence. Resort style community amenities such as a lazy-river with water-slide, indoor and outdoor pools, exercise facility, hot tubs, tennis courts, covered parking and more! Info: Three Bedroom, Three Bath, beachfront residence, approx. 1,770 sq.ft. 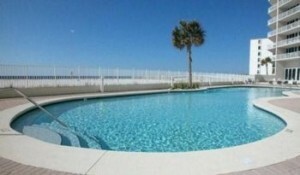 Info: Three Bedroom, Three Bath, gulf-front home, approx. 1,770 s.f. 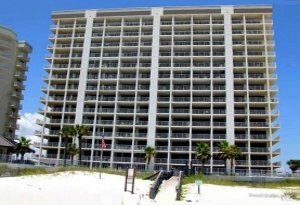 Phoenix Orange Beach condominium is situated on the white-sandy shores of the Alabama Gulf Coast, these gulf-front homes are one of the latest Phoenix developments, offering beachfront condominium homes with incredible views of the white-sand beaches on the Gulf of Mexico. This resort property consists of 3 & 4 BR residences - community amenities include a beachfront pool, an exercise facility, covered parking, beach boardwalk, indoor pool and more.